How should we preserve video games? Video game archivists are divided on how to protect the medium’s history, but they know we need to do it now. Photo illustration by Natalie Matthews-Ramo. Art by Nintendo. Ask someone about their earliest memories of playing video games and they’ll often tell you about the physical experience of play. They’ll describe the frustrating pleasure of flipping through an almanac to figure out where Carmen Sandiego had gone. Or they’ll recall holding the Nintendo light gun up to the television to cheat at Duck Hunt. Or maybe they’ll flash back to the smell of an arcade: that heady aroma of sweat, spilled soda, and molded plastic. For the cultural historian, these material facts complicate things. Because games are an uncommonly experiential medium, it’s hard to know how best to preserve their past. Is it enough to simply store copies of the games for future generations? Do we need to ensure that they’re playable, too? If so, how? Today, scholars and archivists agree on one point: We need to act now if we want to protect the medium’s history. As Henry Lowood, a film and media curator at Stanford University, writes in the introduction to a 2009 white paper, if we fail to do so, “We will lose access to the history and culture of contemporary games and find it impossible to trace the influence of interactive digital games.” Lowood’s co-authors lay out a variety reasons for that urgency, which range from the threat of bit rot—the decay of digital data that threatens all modern storage media in different ways—to copyright restrictions. In some cases, that context involves videos of gameplay, which some companies have included in their materials when registering games for copyright over the years. In others, it might entail strategy guides or other supporting documentation that dates back to a title’s original release. But, he suggests, it might also involve more distant items—such as message board threads from around the date of a game’s release. And sometimes he comes across unexpected treasures along the way, as he did when he discovered the source disc for an unreleased Duke Nukem title. What the Library of Congress can’t offer, for the most part, is the opportunity to play the games in its collection. “We just don’t have the infrastructure in place right now,” Gibson says. It’s also a product of the institution’s approach to preservation: In some cases, game titles in the collection arrive still packaged in shrink-wrap—and when they do, they’re likely to stay that way. Ultimately, Gibson would love to create digital copies of some items but that would have as much or more to do with the instability of optical media than a plan to make games playable. By and large, this is preservation for preservation’s sake: an attempt to ensure that everything the library archives in its Culpeper, Virginia, facility will endure for as long as possible. Gibson is the first to admit that this method has real, practical limits, especially given the mercurial state of the medium. For example, most games released today are subject to regular updates. Sometimes those revisions simply fix bugs, but in others they can radically modify gameplay. Some titles, such as the popular Diablo III, are effectively unplayable unless you’ve installed the latest updates, making it difficult to identify their authoritative forms. “In most cases, especially these days, there isn’t a final version,” Gibson says. In practice, what that means is that a researcher who visits one of LGIRA’s locations—its collection is distributed across a handful of institutions, but McAllister and Ruggill are both based at the University of Arizona—can make use of anything in its collection. And that collection is considerable, encompassing more than 10,000 games and hundreds of other objects, from consoles to promotional boxer shorts. Want to play Donkey Kong on an original Nintendo Entertainment System? You probably can if you make an appointment. Want to taste a Donkey Kong–branded energy drink? Researchers are free to do that, too. McAllister and Ruggill suggest that accounting for entropy might become an opportunity in its own right. “Whenever possible (which is usually), a broken piece of hardware or malfunctioning floppy disk becomes an occasion for edifying play,” they write. By engaging in such efforts, the theory goes, we can learn about more than what people played in the past: We can also delve into the ways they played, sharing in their frustrations as well as their fun. Ultimately, those artifacts will fail definitively—and they’ll likely do so much more quickly than they would if they were filed away in some hermetically sealed vault. Before they do, however, we might learn a little more about them than we would otherwise. 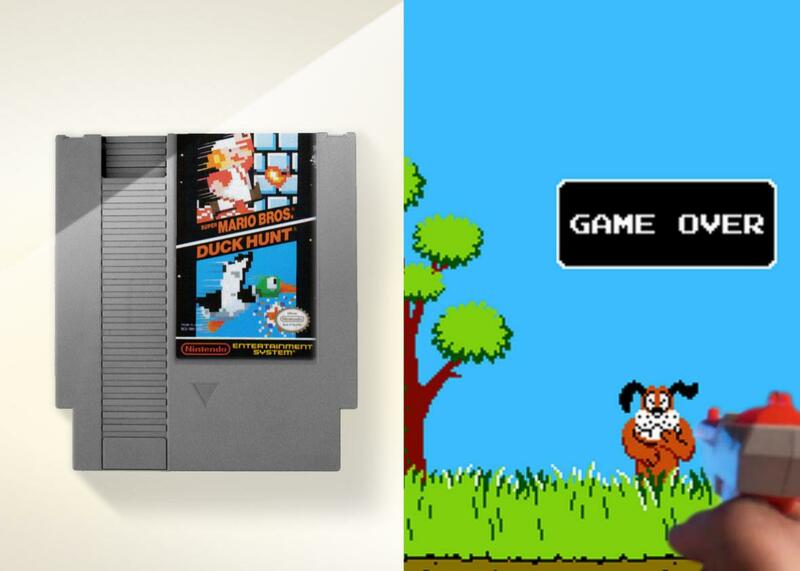 These two approaches—the stable but static Library of Congress strategy and the dynamic but destructive LGIRA one—are not, of course, the only ways to preserve video games. To the contrary, a host of other projects, both from academics and amateur enthusiasts, have sprung up over the years. Some of those efforts, such as the now-defunct Preserving Virtual Worlds, which aimed to create a record of multiplayer games such as Second Life, also called attention to other important complications to the work of game archiving. Methodologically speaking, though, the gap between these two more basic strategies may speak to a fundamental paradox that inheres in archival projects more generally. In his book Archive Fever, French philosopher Jacques Derrida observed that archives promise a kind of stolid persistence, saying everything and changing nothing. By their mere existence, they tell us what has been and what will be. Still, the moment we access them—and why would we create them if not to do so—we begin to change the ostensibly constant knowledge they contain. To enter the archive, Derrida held, was to leave an impression on it: to make it something other than a record of the past. But perhaps video games may ultimately open us to new ways of archiving. The future might be more like the Video Game Soda Machine Project, which as its name suggests, collects still images of soda machines in video games. Silly as it is, it enacts a kind of preservation that emerges out of the peculiarly personal experience of gaming. For now, though, all of these efforts are important—from Gibson’s to LGIRA’s and everything in between.